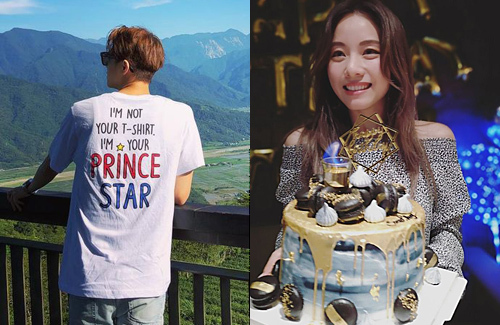 After making a public announcement in July admitting their relationship, Prince Chiu (邱勝翊) and Stephy Tang‘s (鄧麗欣) relationship is on the fast track. With Stephy turning 35 on October 15, Prince made sure to plan a memorable party for Stephy since it’s their first year celebrating together. 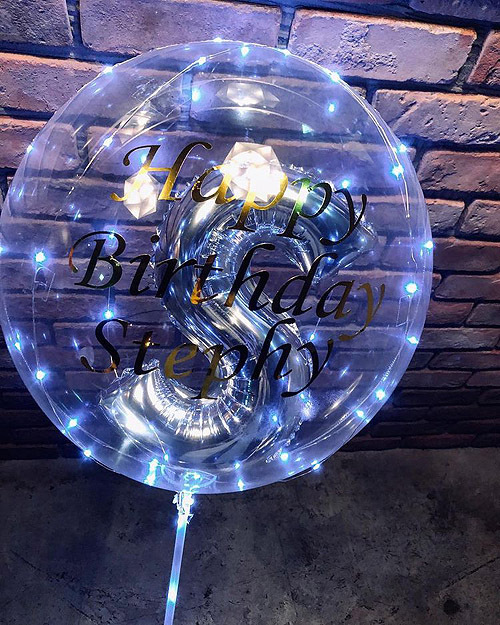 Prince pulled all the stops for Stephy’s big day – ordering a tall macaron cake, buying customized balloons, as well as inviting dozens of her closest friends to the party. Attending the party was honorary guest member, Cherrie Ying (應采兒) – the matchmaker who brought the couple together in the first place. 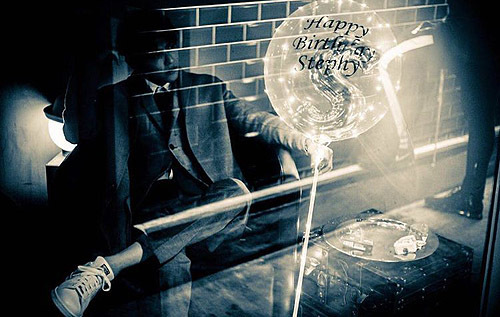 While Prince and Stephy didn’t upload a party photo of them together onto their social media, they both shared individual celebration pictures. 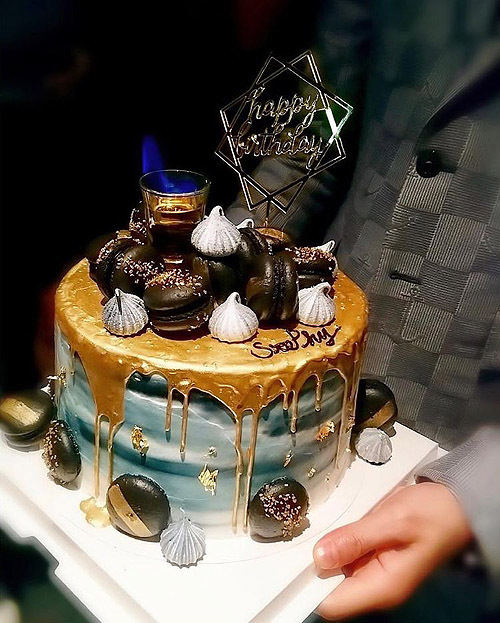 In Stephy’s photo, she wrote, “Thank you for organizing everything.” She also added the hashtags: #happy, #touched, #beautiful cake, and #the candle looks very special, implying that she feels extra grateful for Prince’s thoughtful planning. 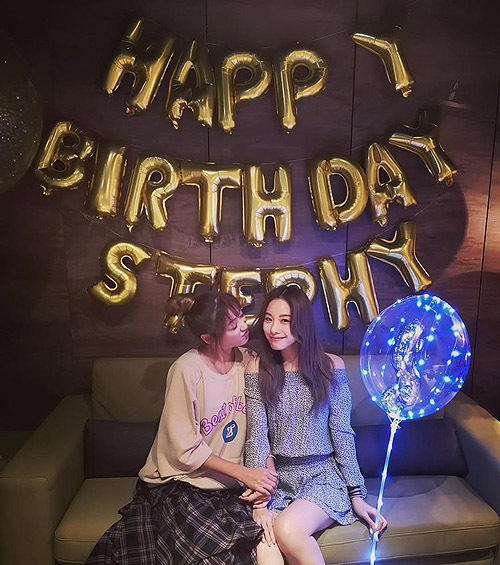 Fans love how Stephy and Prince show their affections for each other openly. Seen going on many dates and even living at each other’s homes when they visit, Stephy and Prince make sure to spend quality time together. Although Stephy is five years older, the 29-year-old Taiwanese actor doesn’t mind the age gap. In fact, with the way things are going for the two, a flash marriage may be a possibility in the near future. Mmm yup, can’t see Alex Fong doing anything so romantic. Stephy picked the right guy.